Silver and gold don’t always go together, but when they do, it really works. 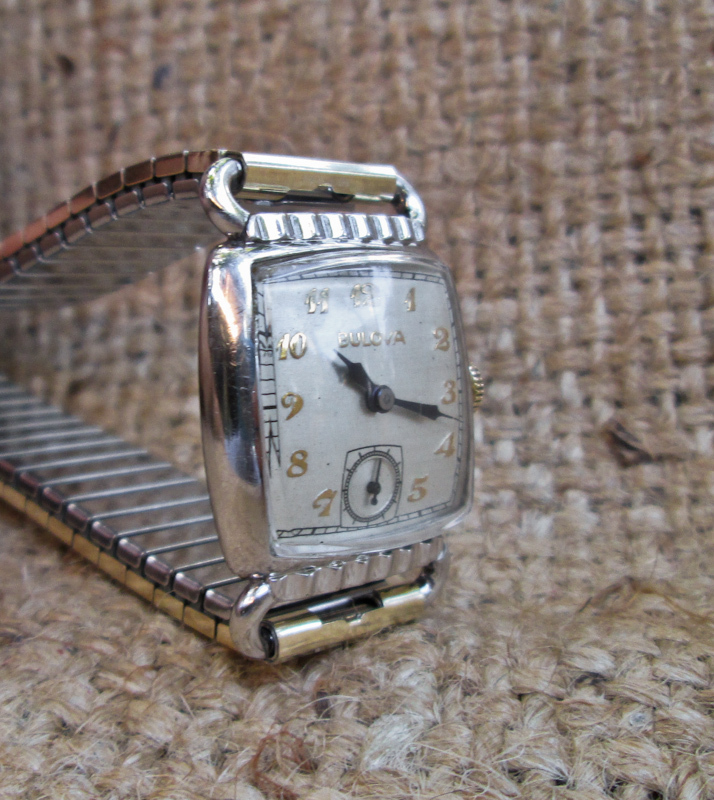 This is a 1953 Bulova Director in silver and gold. 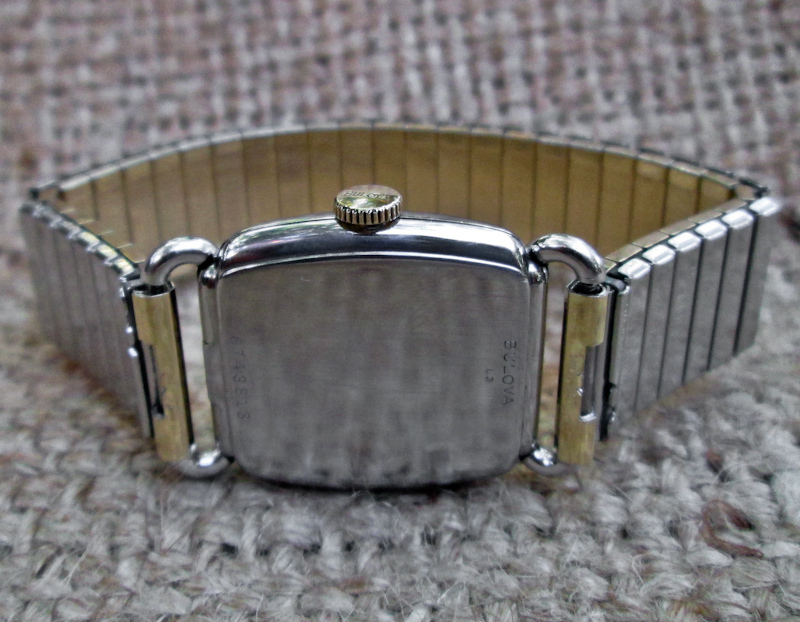 The Director was a popular model, but this is the less common white gold version. 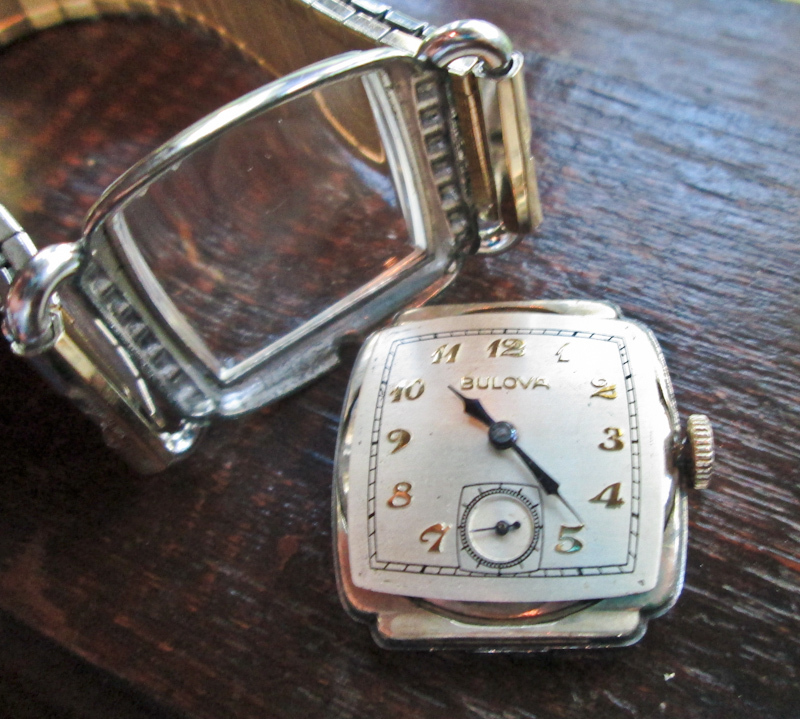 The bezel and case back are white gold, but the applied numbers on the dial and the signed Bulova crown are both gold. We’ve paired the watch with a gold band and, together, this watch really pops. The watch is in Excellent condition. 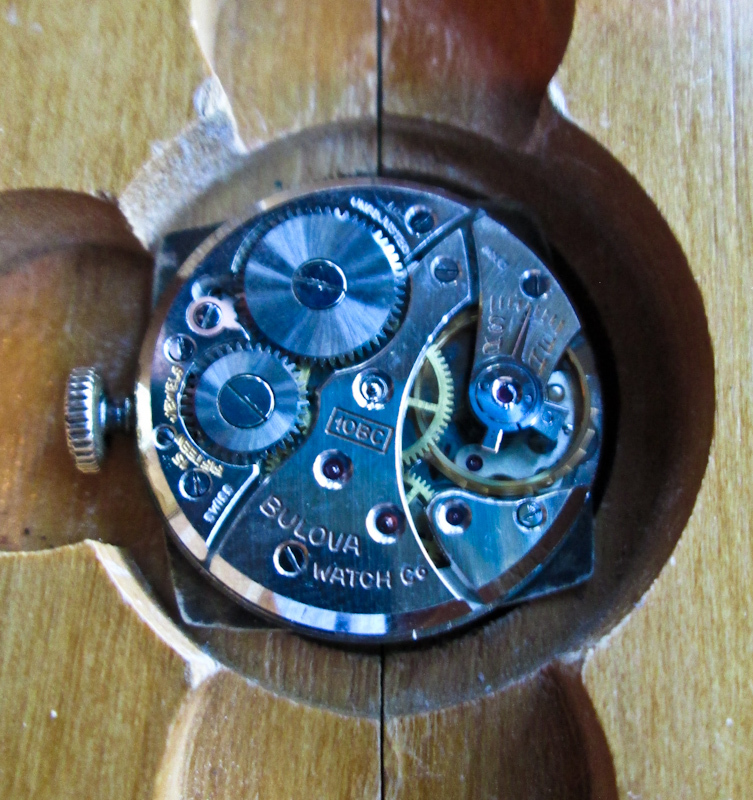 The dial has applied gold numbers and the hands are blued steel. There are no spots or marks on the dial. 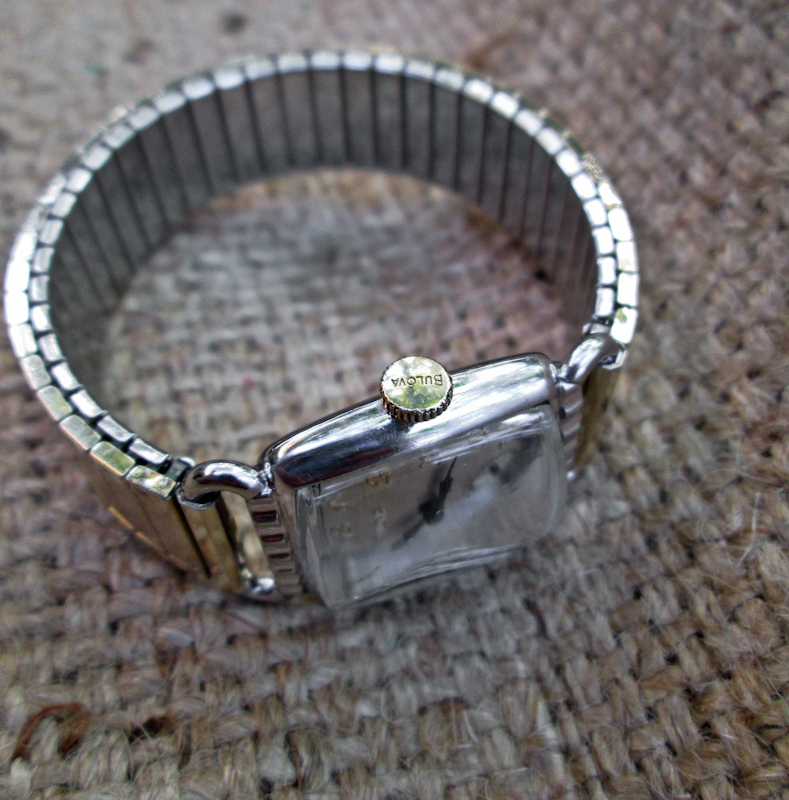 The crown is signed “Bulova.” The crystal is plastic and without scratches. Both the bezel and the back are 10K rolled gold plate and are free from brassing or wear through. The horned lugs and the “radiator” textures around the top and bottom of the bezel show no signs of wear — very unusual for this model. 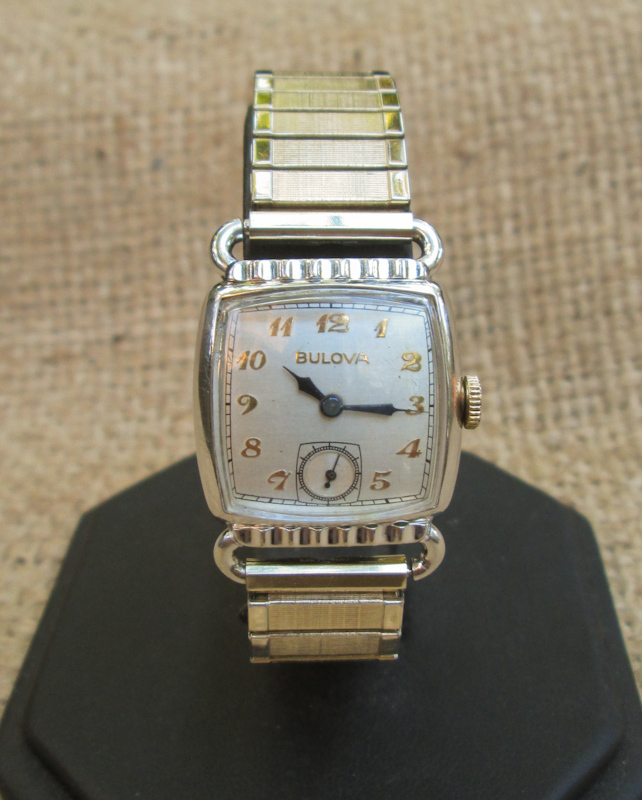 The watch is powered by Bulova’s 15 jewel 10BC movement and it is running strong and keeping excellent time. This watch is (slightly) small by modern standards and would work equally well for men or women. The case measures 25 mm by 27.3 mm long (not counting the stem or the lugs). The band is a new old stock Speidel twist-o-flex. The gold tone of the band really compliments the gold numbers and crown.